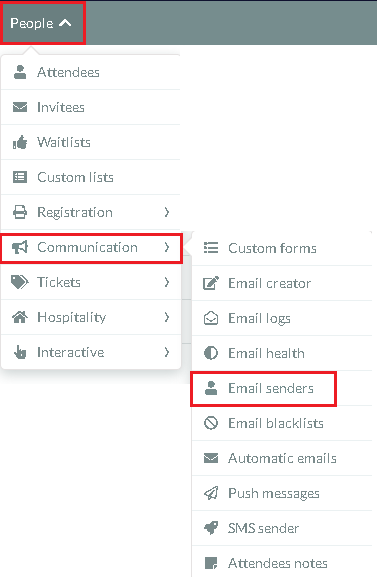 Using the Email Sender feature you will be able to see and control all the email addresses used to send emails to attendees or invitees. 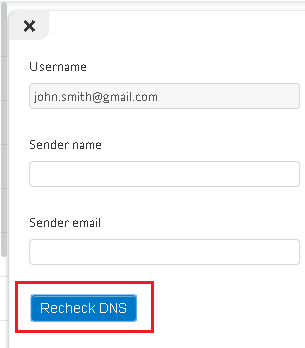 You can recheck the DNS (Domain Name System) of the senders by clicking on the 'EDIT' tab in the top right corner. 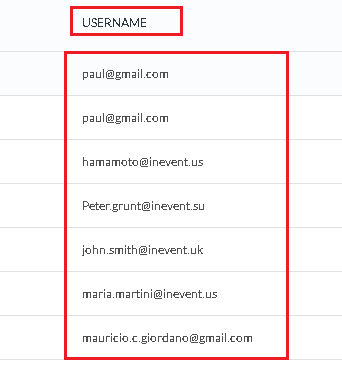 You may also look up for a sender using a term or filter a specific category (all, sent, not configurated, etc). Click on a senders 'Username'. A new window will open to the right. Then click on the blue 'RECHECK DNS' button. The status will then show under the 'STATUS' tab.